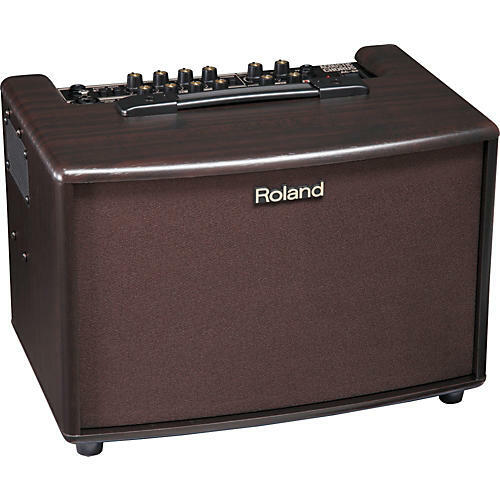 The Roland AC-60RW 60 W 2x6.5 Acoustic Combo Amp provides a rich, natural tone. This innovative stereo amp uses sophisticated digital signal processing to deliver a crisp sound with lush stereo/multi-band chorus-including a new "wide" mode-plus delay/reverb and impressive Auto Anti-Feedback control. And with its 2-channel Mic/Line design and stand-mountable configuration, the AC-60RW is clearly heads above the competition. It's fantastic sounding and wonderfully compact. Order today, you'll love it.